Almost 75% of users on social media are using hashtags. Hashtags are used to help categorize user-generated content, making it easier for people to discover new or related pieces of content. When a user adds a hashtag to their post on social media, that post now has the ability to be searched and discovered by millions of other like-minded people all around the world. Hashtags have proven to increase SEO and visibility and is an essential component to building brand awareness across multiple platforms and to amplifying our content marketing campaigns. As social media marketers, it is important to understand how to correctly use hashtags to generate the most success for our social media marketing strategies. A word or phrase preceded by a hash mark or pound symbol (#), used within a message to identify a keyword or topic of interest and facilitate a search for it. In other words, the purpose of hashtags is to give people the ability to summarize content or posts with a few simple words. Hashtags create a powerful layer of emotion which gives users the ability to showcase their personalities to larger audiences. Creating a hashtag gives brands the ability to communicate with others, drive engagement and attract new people to your brand. But incorrectly using hashtags can have a negative impact on your hashtag marketing strategy. It is important to research and find which hashtags resonate with your audience and followers the best and what generates the most interaction and engagement. With the use of hashtags, marketers have the power to connect thousands of like-minded people, drive more organic traffic to your content and take your overall social media marketing strategy to new heights. Brands now have an easier way to be individually and uniquely recognized with the use of social media hashtags. The #shareacoke went viral and became a huge success. This social media marketing campaign connected thousands of people together and generated tons of hashtag engagement. Hashtags can also be creatively used in our influencer marketing strategies. By adding hashtags to your posts or content, you have a greater opportunity to increase brand awareness and increase the level of people going to your account. You can also create fun contests to help generate a buzz about your brand or products. Most social media followers are more likely to interact with your content if they have a chance to win a prize or recognized. Brands can also look though daily hashtag trends and find conversations to jump in. When users do this it helps create more engagement and visibility. Depending on which hashtags you use they can encourage users to interact with your posts by liking, sharing, commenting, etc. You could use hashtags like #follow, #retweet or #comment to promote better user engagement. Research the most recent trending topics and use any popular or trending hashtags that are similar to your brand to help push your content in front of more people. Use trending hashtags on social media that people are searching for to increase brand visibility and reach thousands of new potential followers, loyal customers and fans. Make sure not to use broad, unrelated hashtags, which can cause your brand to get attention from the wrong audience. But beware of using common and popular hashtags that are overcrowded. When a hashtag is overcrowded brands are less likely to get engagement from their ideal people. Now that you are familiar with the benefits of using hashtags, it is important to understand how to use them on each social media platform. Even though hashtags have the same fundamental purpose, content tagging and discovery, the use hashtags varies depending on what social media network you are using. There are approximately 284 million monthly active users on Twitter who send out an average of 500 million tweets per day. Hashtags were originally created for Twitter, but are now used on used on other social media platforms such as Instagram, Facebook and Google+. When using a hashtag on Twitter, limit the number of hashtags to two per tweet. It has been proven that using more than two Twitter hashtags greatly diminishes engagement levels. Tweets with a single hashtag doubles the amount of engagement compared to tweets that don’t include one. 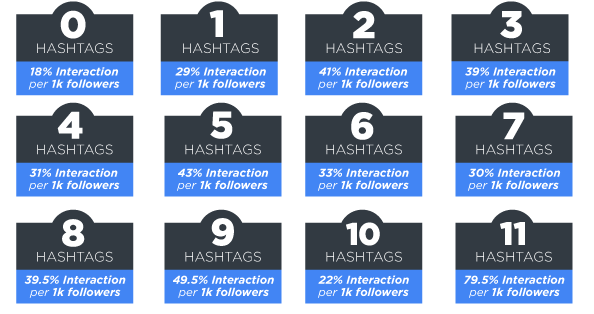 Three or more hashtags results in a 17% drop in user engagement. A tweet with a link and a hashtag is 86% more likely to be retweeted. Tweets with a single hashtag tend to get 21% more engagement than those who don't use hashtags. Tweets that contain 1 or more hashtags that do not have a link link are 55% more likely to be retweeted. The recent update on Instagram allows users to follow specific and trending hashtags just like you would friends or brands. Choosing the right hashtag or the right combination of hashtags, helps expose your brand to large, more targeted audience. 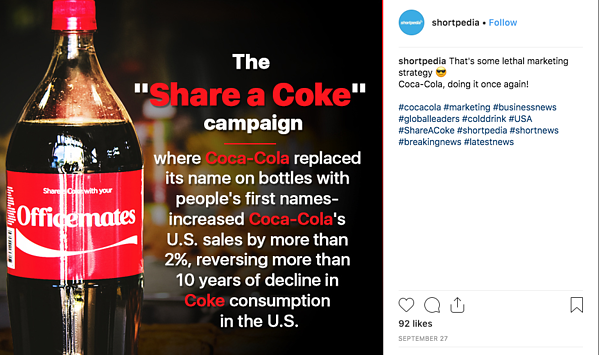 Brands should research popular Instagram hashtags their competitors are using and research the hashtags influential people in their industries are using to ensure the most engagement and success. 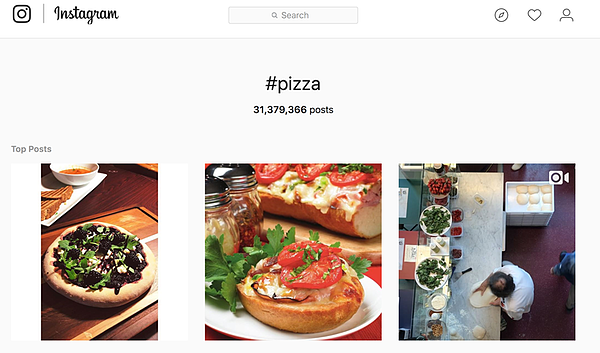 In the example above, the popular hashtag #digitalmarketing has over 3 million posts. Brands can look here to find what common and trending hashtags other businesses are using. Posts containing four or five hashtags received an average of 22 interactions compared to 14 interactions on posts with zero Instagram hashtags. The number of hashtags a post should contain isn't limited on Instagram, but you shouldn't go overboard with them either. Surprisingly, the highest levels of Instagram engagement comes from posts having 11 or more hashtags. Read our other blog about instagram marketing. Hashtags aren't as popular on Facebook, but that doesn't mean you shouldn't use them here. Facebook posts that include 1-2 hashtags receive more engagement from users. Anything more than that loses social engagement. Search using the search bar. Hashtags give online marketers and brands the ability to reach new levels of success on social media platforms by uniting conversations across the internet to help better engage audiences and grow social media impact. When using social media hashtags, make sure to choose hashtags that are targeted towards your most ideal audience to get the highest engagement. The more targeted your audience is, the better they will perceive your content.